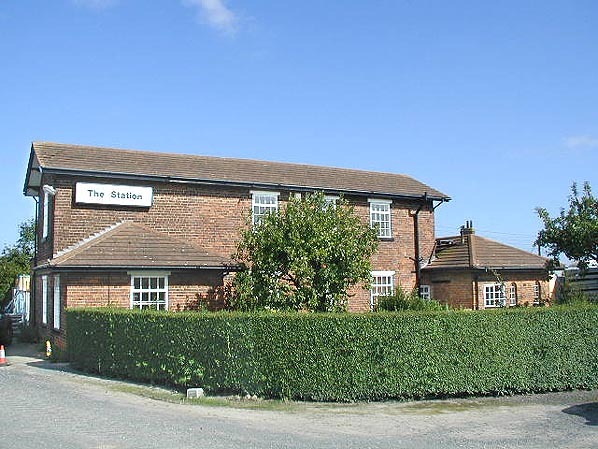 Present state: The station building/stationmaster's house survives as an office for the HMC Metal Company but the platforms have been demolished and the station yard is a scrap yard and skip site. The Hull and Holderness Railway was promoted by Hull merchant Anthony Bannister with the objective of linking the industrial port of Hull with the rich agricultural land of South Holderness; parts of the South Holderness area had previously been accessible via the river Humber at Hedon and Patrington Havens, but these had begun to silt up. A secondary objective was to develop a seaside resort on the coast in much the same way as the York and North Midland Railway had begun to develop Scarborough and Whitby. The coast between Tunstall and Easington was surveyed and Withernsea chosen to be the terminus of the line and hence the new resort. Receiving Royal assent on 8.7.1853 the line was extremely easy to construct as the South Holderness area is very flat and ballast could be extracted close to the line at Kelsey Hill near Burstwick; the line opened on 30.6.1854 with a Hull terminus at Victoria Dock station. The railway was initially completely independent and operated its own rolling stock, however it was too small to survive independently and on 1.1.1860 the line was leased to the NER which then bought the line outright on 7.7.1862. Trains began running into Hull's Paragon station via the Victoria Dock branch on 1.6.1864. The line was constructed as a single track, but was doubled in the early 20th Century. Single line sections remained between Hedon and Ryehill and Burstwick stations and further east between Ottringham and Winestead until closure. Diesel railcars were introduced on 7.1.1957 and further cost cutting in the form of Centralised Traffic Control (automated signaling and level crossings) were proposed in the early 1960's only to be overtaken by the 'Beeching Report' of 1962 which proposed closure of the line. The Hull-Withernsea line closed to passengers on 19.10.1964 (the same day as the neighbouring Hull-Hornsea branch) with goods services lasting until 30.4.1965. 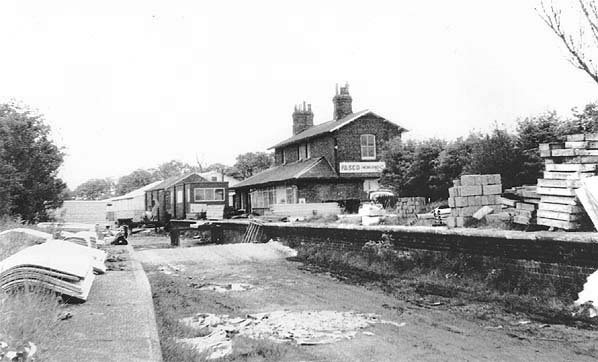 Goods services to Hedon continued until 1968. Today several sections of trackbed are in use as a footpath/cycleway with much of the formation intact. 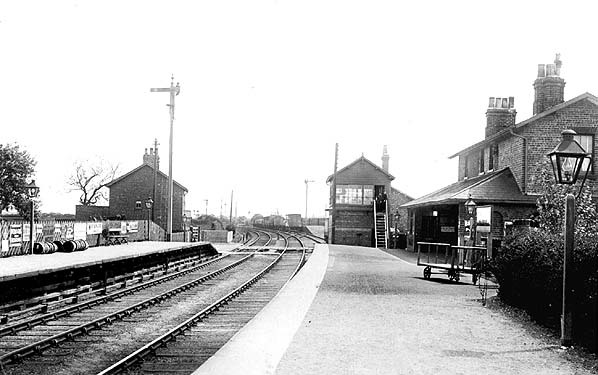 With the exception of the Withernsea terminus, all the station buildings remain, mainly in residential use. Click here to see a film of a journey along the branch from Hull to Withernsea in 1957.